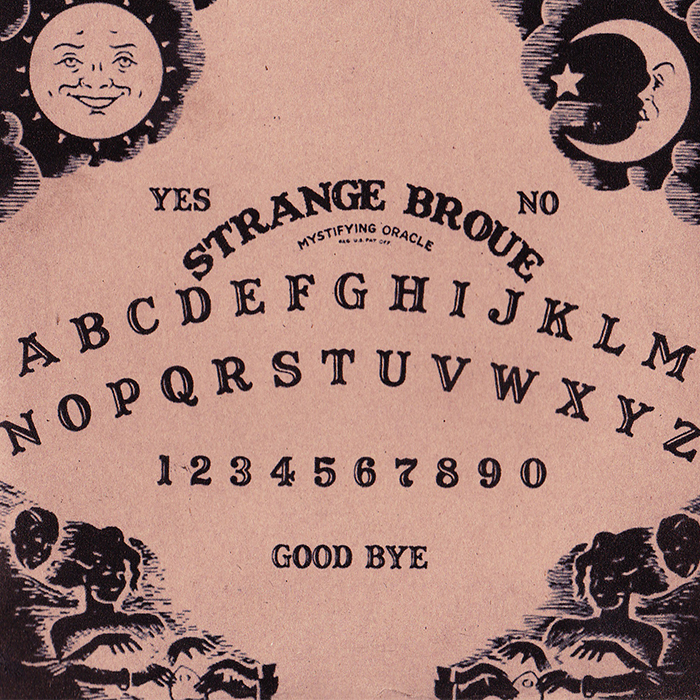 Canadian band Strange Broue's first full album is a strong slab of hazed-out, psych-tinged stoner doom metal, reveling in fuzz, cultic imagery, distorted wails, burbling synth under-tones, and chunky bass riffs. Technically, it's been out on their BandCamp since last March, but we're hitting it now for Sunmask Records' vinyl release of the album. In case you couldn't guess where the band's influences lay, track titles such as "Electric Blizzard" (roll it around in your mind for a few seconds), "Children of Sabbath", and a cover of Wicked Lady's "Run the Night" help uncover the band's stylistic roots. Rumbling its way through several approaches to the essential stoner doom formula, Strange Broue take a trip through heady, echoing, savage, and reeling territories, with enough black-light spookiness to give you goosebumps in your ear canals. 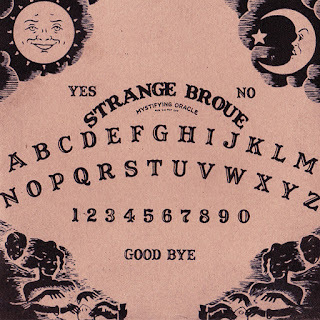 It appears that Strange Broue is a one-man operation, making the tunes and trippage of the album all the more impressive. The vinyl release trims the track-list down from ten songs to seven, meaning the excellent "Druglust! ", "Welcome to Jonestown", and "The Captor" get left in the dust unless you pick up one of the digital/cassette/CD-R copies. Even without these tracks, it's a very solid album, giving itself over to the themes and smoky refrains with full abandon. The release date for the standard edition was yesterday, so if you want more hot-blooded stoner doom in your diet, get on over to Sunmask Records and pick up one of the 200 vinyl copies before they're all gone.